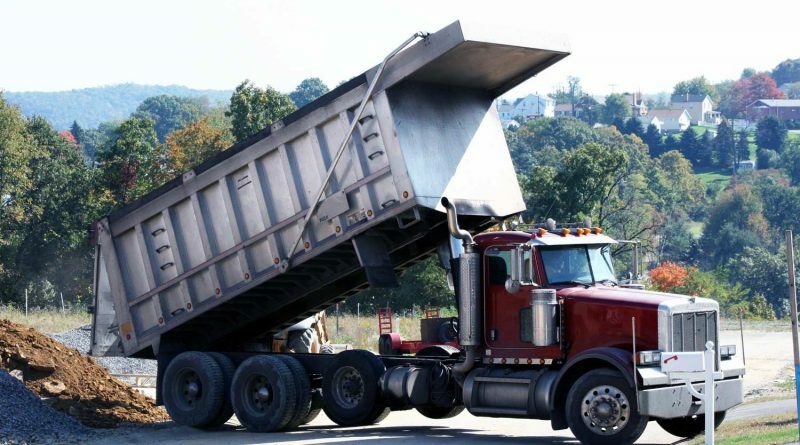 Dump trucks are a must for the transport of any heavy materials such as sand, stone, brick, dirt, gravel, etc. As the business of construction and real estate is forwarding day after day, the demand for dump trucks is also growing heavily. They are the best choice if you are looking for transport of heavy and hefty items. They come in budget, are available in second hand and are a cost effective choice if you are looking to run your business in budget. Dump trucks come in various sizes and kinds. Before you decide which dump truck suits your business needs, it is useful to have idea about the types and their uses. Basically, the difference lies in the mounting of dump truck body and the frame. Here is a brief note on the main differences between various dump truck that will help you to choose one for your transport needs. It may be useful if you can talk to or visit a dump body manufacturer for further clarification. A standard dump truck comes in two configurations: six wheel and 10-wheel. It is simple and plain to use and offers no directional challenges. It fits your needs appropriately if you need both horizontal and vertical movement of the dump truck body. If you want dumping of loads on either sides, you can pick a side dump truck. This model best suits the open construction areas and does not pose any risk of tipping over while emptying. If safety of operation is your concern, this model can be your best pick. Another type is the off-road dump trucks. They suit well for mining businesses and if the routes of the travel involve rocky and hilly terrains. With a maximum of load carriage capacity of up to 60 tons, they are the best for hauling heavy weighted loads. Here comes another model that carries the largest weight. Termed as haul trucks, they can carry up to 100 tons of materials. Similar to the off-road dump truck, they are best suited for mining and long distance transport needs. Now that you understood the different models of dump trucks, you can pick one that is best suited for your needs. Remember that if you are intending to buy a used one, you have to inspect the body thoroughly for scratches and their causes, and inquire about accident and damage history if any. Also, the dump body should be free from damages because it is the one that has to bear the entire load and you do not want surprises of any kind in the middle of your transportation. Does the very sound of dump truck sound that it is only for construction and mining purposes? Nope. Dump trucks can be the best option if you are shifting your home or office. They are spacious and can carry heavy loads with ease. You can prefer them comfortably if you are moving home that is very far from the current location. All your bedroom furniture, heavy dishwashers and washing machines fit perfectly in a dump truck, and you can choose the side dump model to carry on loading and unloading of items with ease. Also, if you feel that your garden is overloaded with shattered pots or dead trees that are to be felled and moved away, dump trucks can help you. Any renovation works like removing of old tiles from home or modernizing your roof and elevation etc. may also result in lot of debris for which you can use dump trucks for disposal. Dump trucks are an absolute must for civil and construction works. Loads of cement, gravel, stone and brick, and other debris and waste can be carried only with the help of dump truck and no other means of transport can be abetter substitute for the same. Either during construction or demolition of buildings, dump trucks are mandatory to ensure that the material is swiftly transported to the dump yards without causing any obstruction to the roads and no spillages while transporting. Dump trucks perform any heavy transportation needs with ease. Be it the transportation of heavy bags of soil, or heavy plants when you are shifting homes, or wood and log transportation, dump trucks do the task easily. Often, the transport of sand and gravel can be a task that needs sturdy equipment, so that they don’t spill or leak during transport. You can easily obtain dump trucks from professionals for rent and get the purpose done neatly. Thus, dump trucks offer many uses for commercial transport purposes. All you have to do is choose one from a professional dump truck manufacturer that will solve your purpose. Author bio: Mario Rolls is the blog consultant and writer at Dump Trucks. 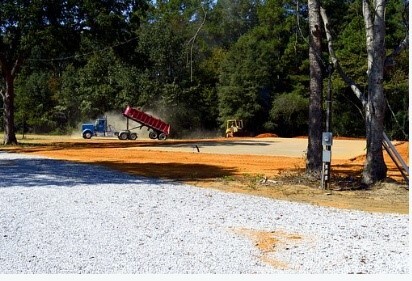 He brings 20 years of experience in various industries including heavy vehicle blogging and dump body manufacturing business.He is working for a company in Mississippi and one of the Nation’s primary manufacturers of dump truck bodies and trailers. Warren offers products and services for the smallest to the largest trucks.